A border checkpoint and bridge connecting the Chinese city of Jian with North Korea's Manpo were open on Monday, following three years of delays since they were built. US President Donald Trump suggested after his first summit with North Korean leader Kim Jong-un in Singapore last June that China "may be" doing something to sabotage his denuclearisation deal with Kim. China vowed last July to enforce the sanctions after a UN committee accused it and South Korea of being reluctant to enforce a ban on coal exports from the North. But there has been a change in the status of the Jian-Manpo border crossing ― built near to where Kim's father, the former leader Kim Jong-il, was reported to have crossed the border in 2010 in a rare trip outside his country. Kim's second summit with Trump in February collapsed against a backdrop of continued economic struggles for North Korea. 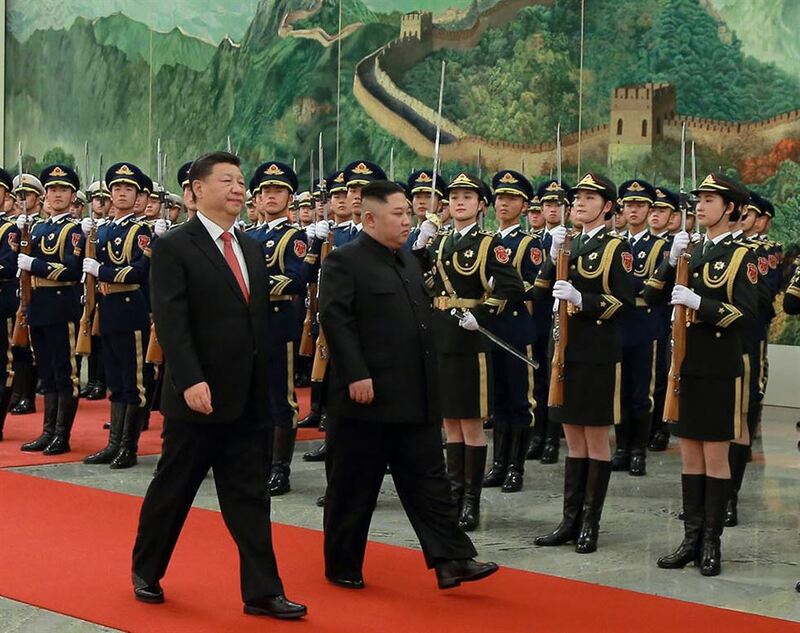 Beijing is wary of instability around the North Korean regime posing a threat to the security of China's northeast, fearing an influx of refugees into one of its poorest regions. North Korea's trade has suffered to the extent that the Korea Development Institute said in February it had almost collapsed. The North's exports to China ― which accounts for the bulk of its trade ― plunged 87 per cent year-on-year in 2018, according to data compiled by South Korea's Korea International Trade Association, while there have been myriad other economic problems at a time when Kim has vowed to deliver on the economy. In April last year, Kim announced that Pyongyang was moving away from its twin-track "byungjin" policy of developing nuclear weapons and the economy simultaneously to focus exclusively on rebuilding the economy. Boo Seung-chan, adjunct professor at the Yonsei Institute for North Korean Studies in Seoul, said the bridge's primary use would be to boost tourism in North Korea, which is not restricted by the UN sanctions. "Tourism is the only sector left for the North Koreans to earn foreign revenue," Boo said. "Besides, China can only offer its financial help through the tourism sector as it does not wish to violate UN sanctions. "China's Korean peninsula policy is to maintain the stability of the region. It may also be drawing a road map for when sanctions may be lifted, finding its means to accelerate its economic engagement to increase its sphere of influence."